However only around 25 to 30 individuals have flown out from Ireland to join the conflict in Syria. IRELAND HAS BEEN found to have the second highest per capita rate of Muslims going to fight in Syria out of a survey of 25 countries. This however still puts the figure at 0.07% of the overall number of Muslims in Ireland. 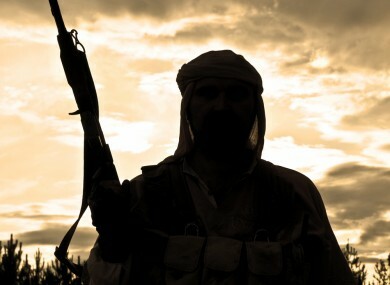 Out of a Muslim population of around 43,000 only 25 to 30 individuals have gone to fight in Syria. A close working relationship is maintained with police and security partners in the EU and other countries in respect of developing threats and ongoing, international efforts to counter terrorism generally. This comes as part of a study conducted by CNN and based on information supplied by national governments, Pew Research Center and other sources. The research looks at the numbers of those going to fight from 25 different countries. The figures have not been independently verified by the Irish Government. The country with the highest rate of jihadis per capita was Finland, slightly ahead of Ireland on 0.071%. In terms of total number of jihadis who have gone to conflict zones a number of other nations were substantially ahead of Ireland. Over 700 Muslims have gone from France to fight in Syria out of a population of over four million. The country that has seen the largest number of individuals going to engage in the conflict is Tunisia. Out of a population of over 10 million Muslims, there are around 3,000 jihadis. Indonesia, with a Muslim population of over 200 million, has only seen between 30 and 60 Muslims going to fight in the conflict in Syria. Late last month Minister for Justice Frances Fitzgerald stated that she would withdraw the passports of those involved in illegal jihadi activity in Iraq or Syria. The Islamic Cultural Centre of Ireland was contacted for comment and are yet to respond. Email “New study says Ireland has the second highest per capita jihadist rate ”. Feedback on “New study says Ireland has the second highest per capita jihadist rate ”.